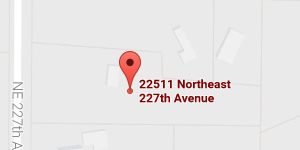 For professional kitchen remodeling, Battle Ground WA residents call on L.E. Burgess Remodeling & Renovations. With more than 30 years of remodeling and contracting experience, we’ve remodeled countless kitchens. We know that you want the highest quality craftsmanship and design that seamlessly combines all the elements you’re after. A kitchen is a gathering place. It’s where you enjoy time with family, great meals, and create memories. It should be a warm, inviting, and functional extension of your personality. 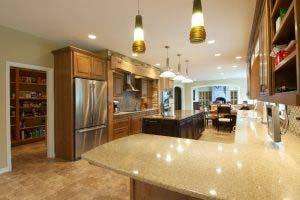 Let us create your perfect gathering place with kitchen remodeling Battle Ground WA relies on. Get the remodeled kitchen you’ve been waiting for! A great kitchen remodel is all about customization. We have an in-house design specialist that works with you to develop the perfect kitchen. We’ve worked in every type of home including victorian, mid-century, and traditional. 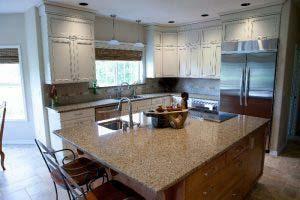 This experience allows us to blend your remodeled kitchen with existing aesthetics. That doesn’t mean forgoing new features or cabinets though. We’ll work with you to identify the features you want most to provide exceptional kitchen remodeling that’s within your budget. With so many services under one roof, you want a company that’s experienced enough to do the job. Our technicians have extensive certifications. These include custom interior design, green certifications, aging in place, and graduated remodeling. Don’t put your kitchen in the hands of just anyone. Call (360) 667-0800 or Contact Us to get the design you want, the craftsmanship you need, and the customer service you can’t get anywhere else.